Competenz careers advisors Brian Lane and Kimberley Ward recently spent a day in Hamilton with Competenz plastics account manager Phil Jones who organised tours around three plastic companies: Convex Plastics, Gallagher Industries and Tekplas. The tours offered Brian and Kimberley an insight into the plastic industry and the career options available. “Many New Zealand companies are exporting worldwide as New Zealand offers flexible manufacturing processes,” Phil says. Kimberley says the tours were an opportunity to learn more about the plastics industry. “The tours gave us a great insight into the plastics industry and will certainly help promote this exciting industry to careers advisors and students,” she says. All training is on-the-job; learn while you earn. Plastics New Zealand provides networking and technical opportunities within the sector. 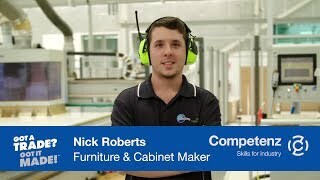 Plastics industry page on Competenz website.